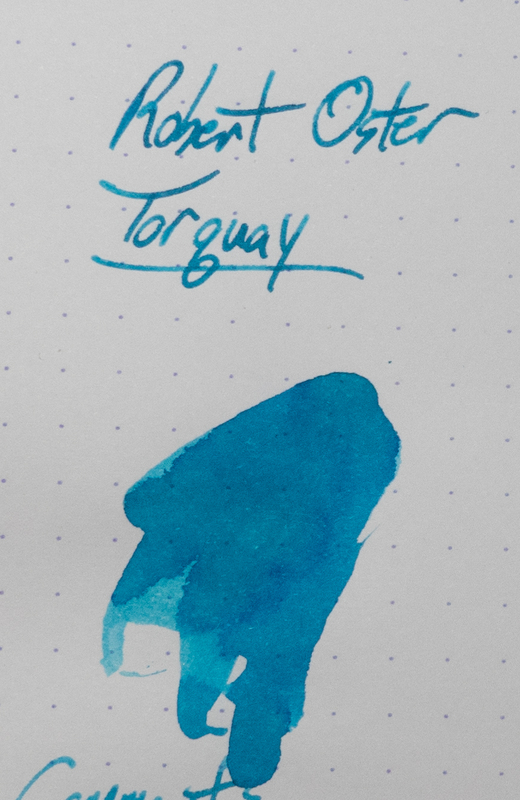 Robert Oster Torquay | Inkdependence! 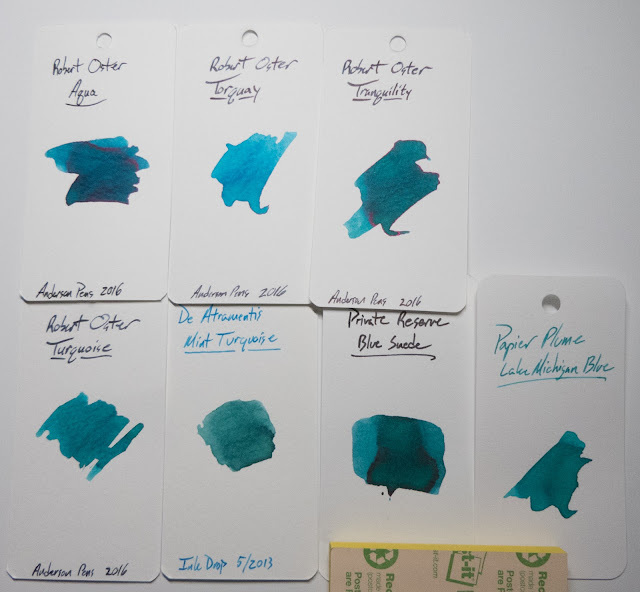 This ink sample was provided by Anderson Pens for review. The Robert Oster trend continues with Torquay! 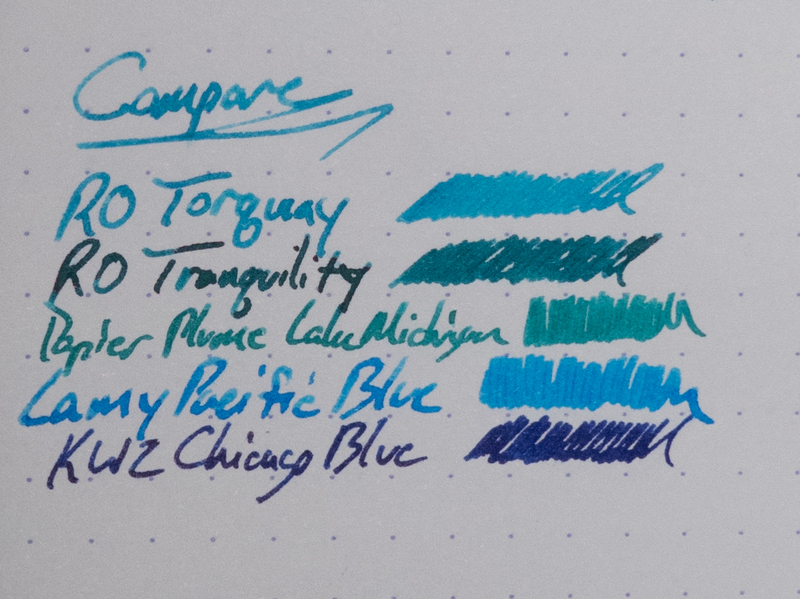 It's another of the turquoise, light blue, blue-green inks that were calling to me from their little sample vials this spring, and I'm glad I got a chance to try it out. 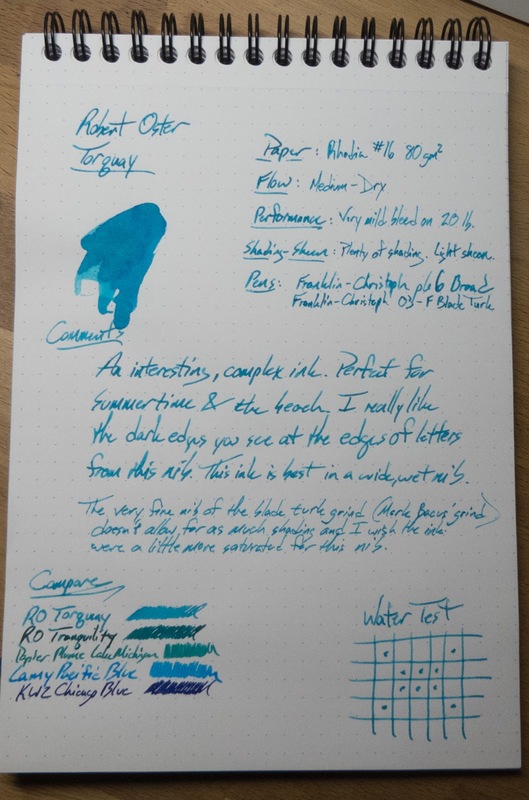 Read on below to check out this ink and decide if this is the light-blue-green that you need this summer. 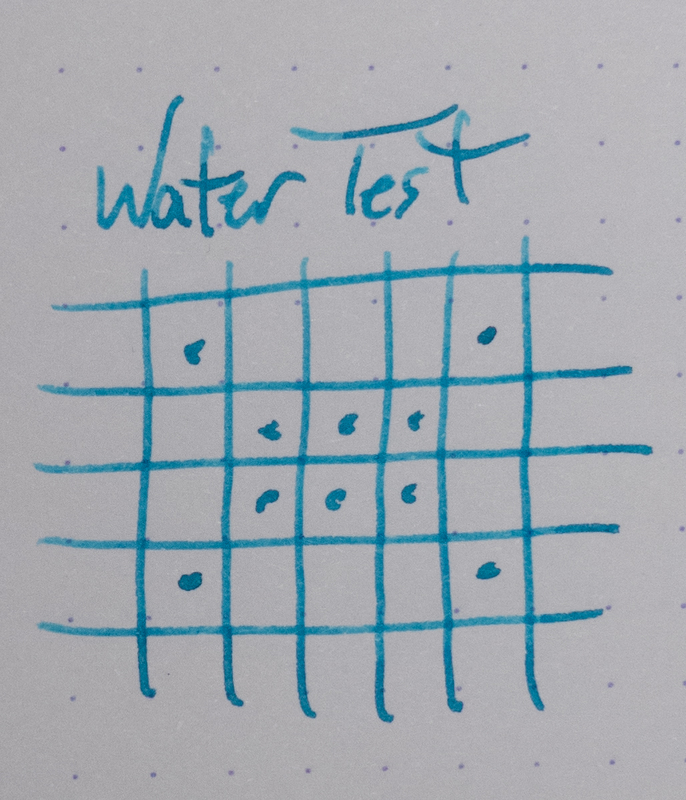 This one isn't as free-flowing as the others that I've used from Robert Oster. It's a little on the dry side, in fact. 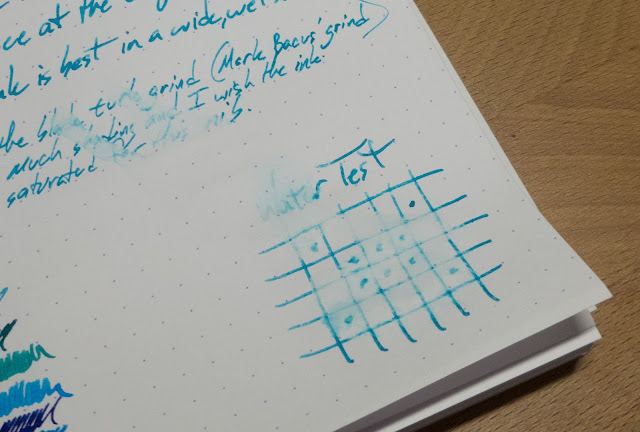 That means it didn't really get along well with my fine blade turk nib. 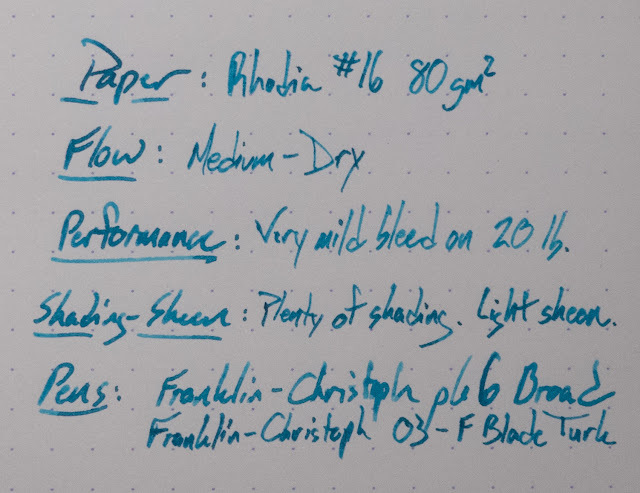 It does mean that it performs well in the broad nib of the Franklin-Christoph p66, though, and that it would work well in your super wet nibs. It could tame them up for you, even. Geeze. 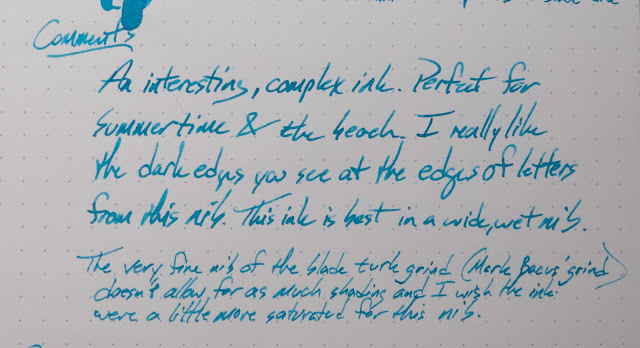 Sometimes my handwriting looks like junk. If you're out there thinking "I can't write things on the internet. My handwriting is too sloppy!" Well, sure you can. I do. There's some bleed on the copy paper with this ink, but not much feathering or anything else. Of the available inks in this color-space, this one isn't really doing it for me. It's fine, but it's not winning any prizes from me. 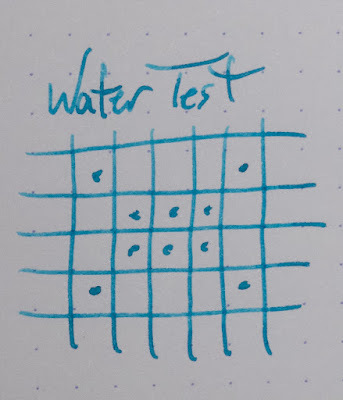 Yeah, no water resistance on this one.